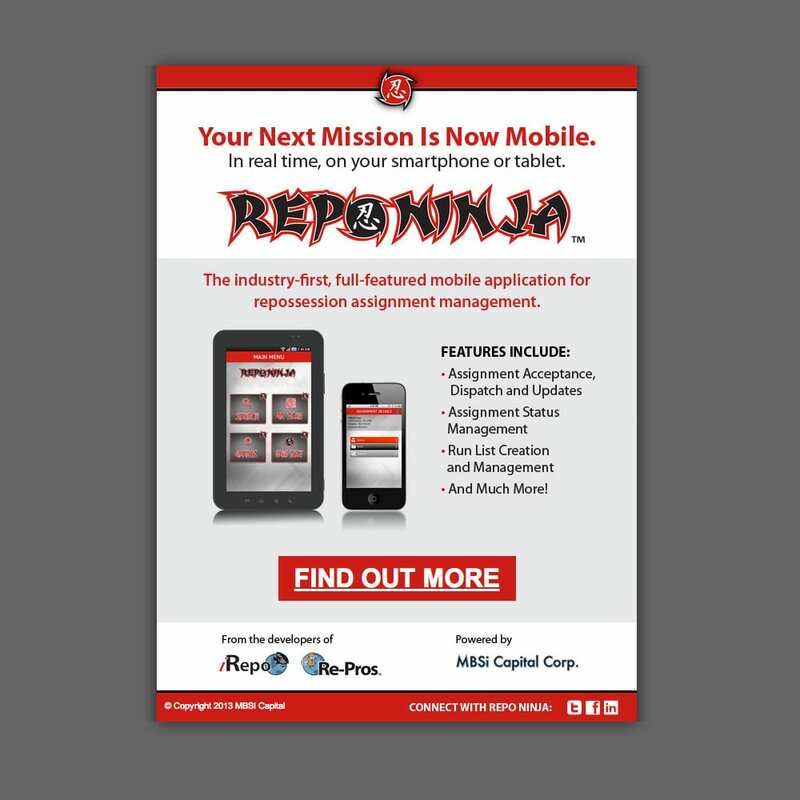 Repossession management application for tablet and smartphone. 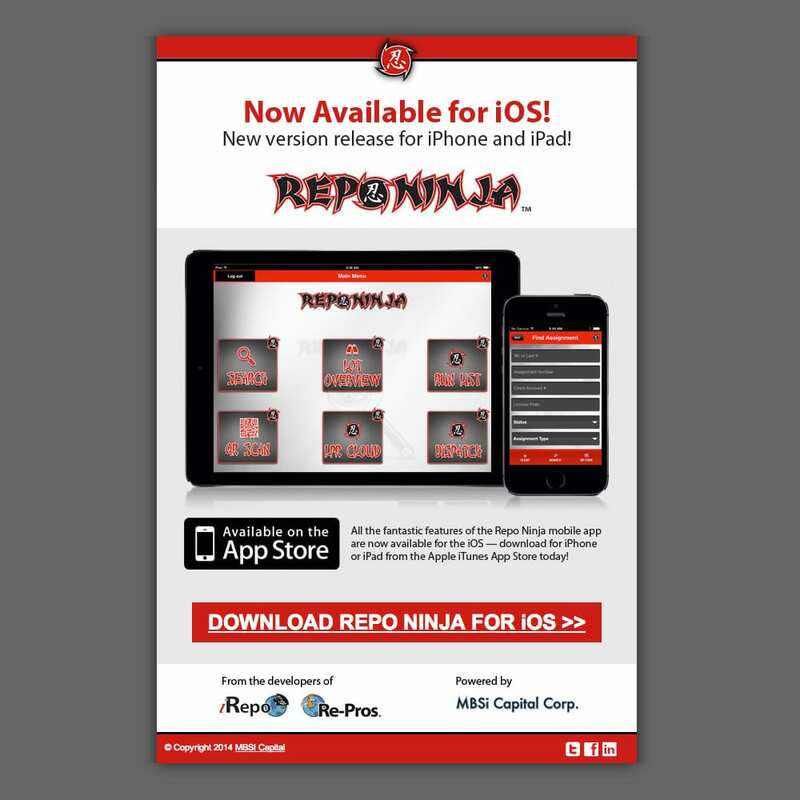 RJD Creative was contracted by MBSi Capital to brand the launch and promotional campaign for its groundbreaking new Repo Ninja application. 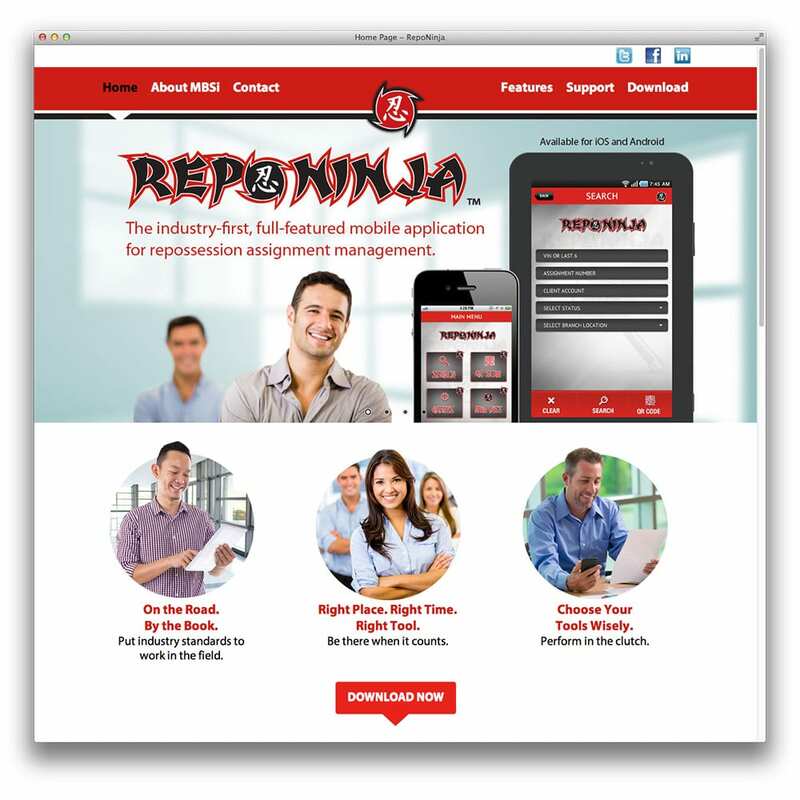 Using a supplied product logo, RJD Creative developed a visual and verbal identity system to promote the app’s launch. 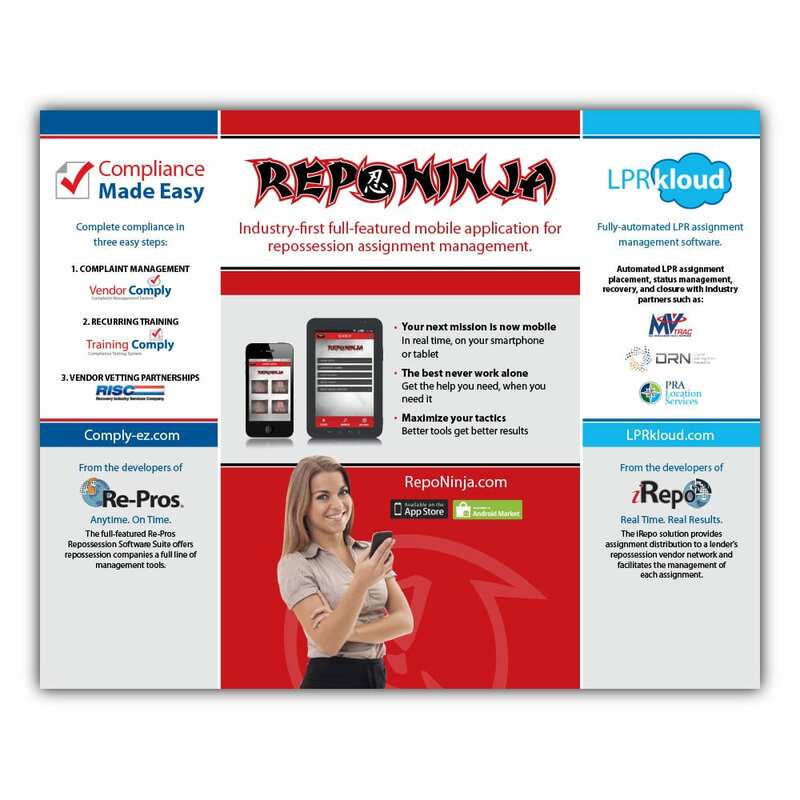 This involved the creation and management of print, web, email, social media and trade show marketing communications materials. 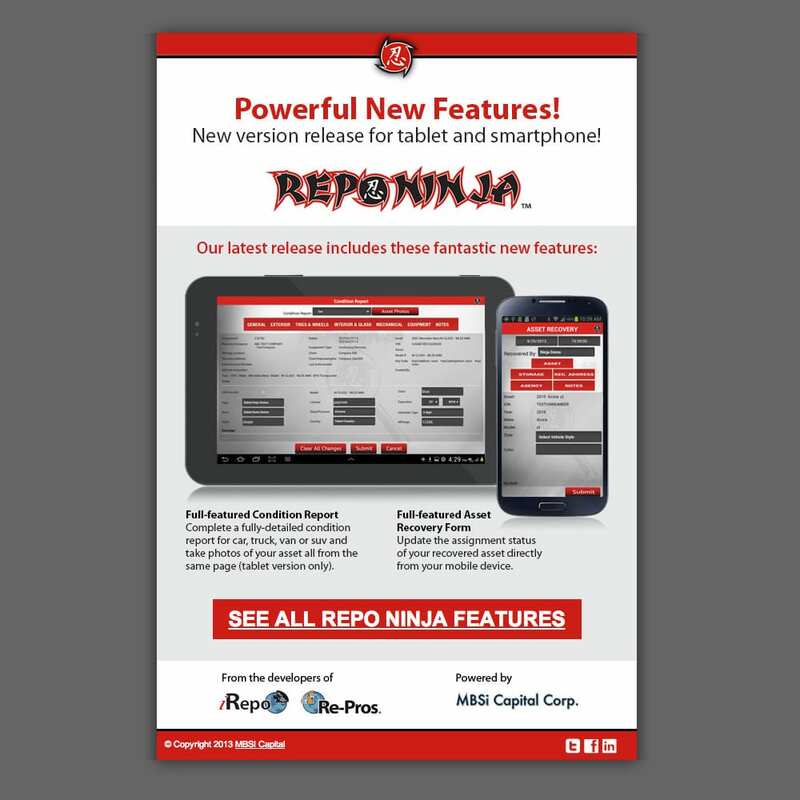 RJD Creative managed informational updates about new version releases of the Repo Ninja app through press release and email campaigns, as well as social media conversations.